Raipur, April 10: At least 2 security personnel have been killed and around 5 other injured in an IED attack on the police party vehicle near Bijapur's Kutru in Chhattisgarh yesterday. The anti-Naxal operations Special DG DM Awasthi has said that injured persons were immediately rushed to the nearby hospital and rescue operation is still underway. The explosion targeting the bus occurred near Godma village, around 450 kms from the state capital, when the jawans were out on an anti-Maoist operation, police said. "Two jawans belonging to the District Reserve Guard (DRG) were killed and five others sustained injuries in the explosion," a senior police official told. The IED blast damaged the front portion of the bus, which was carrying a squad of at least 30 jawans. The personnel sitting in the front side bore the brunt of the explosion, he said. Additional personnel were rushed to the spot soon after the incident and the injured jawans were taken to a hospital in Bijapur, he said. 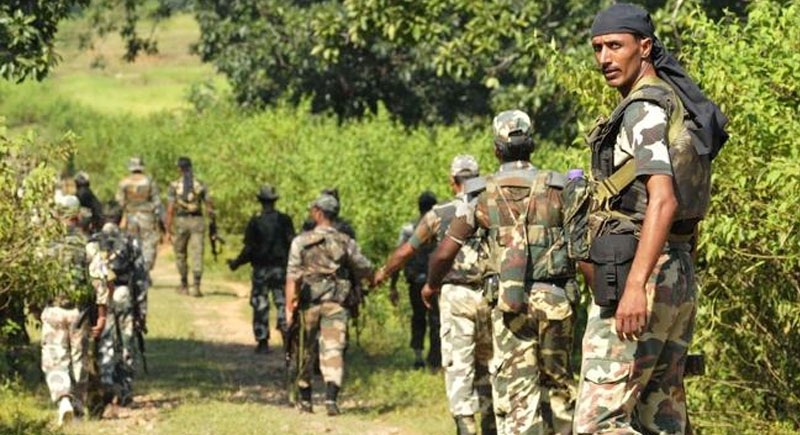 Notably, the security forces have intensified search operations in the forest in view of the prime minister's visit to Bijapur scheduled on April 14.